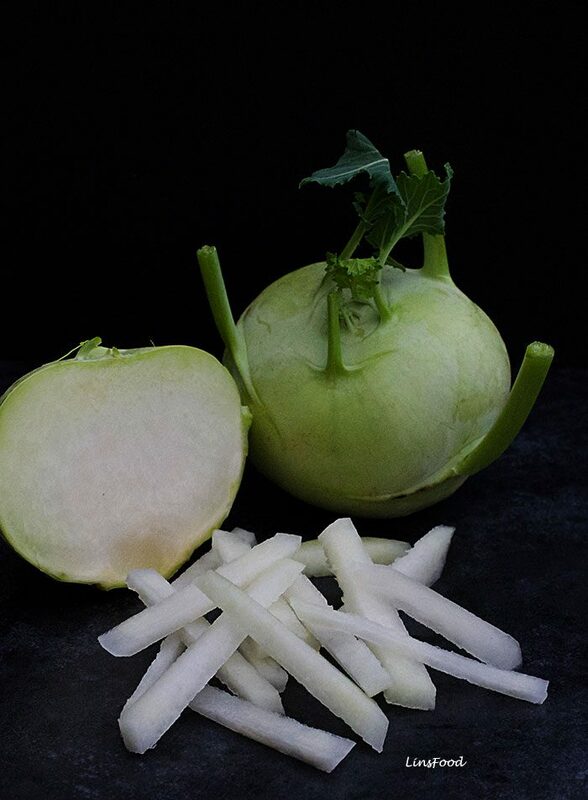 Kohlrabi – look up any explanation of it and you will see the word “alien” in its description. That’s because, chop off its leaves and it does indeed resemble a tiny green alien! 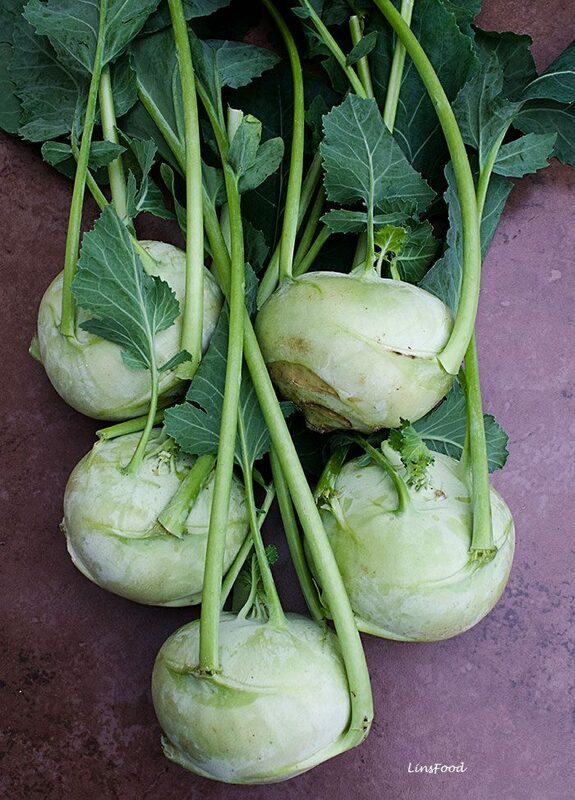 So what is kohlrabi? The word literally means turnip cabbage; with kohl being cabbage in German, and rabi is turnip in Swiss German. It is a member of the cabbage family and comes in green and purple (like the red cabbage). Both its bulb and leaves are edible. It is a pretty common vegetable not only on the European Continent but also in some parts of India, north Vietnam and Cyprus. So what does kohlrabi taste like? The bulb itself has a very mild, almost bland flavour. Not as bland as a cabbage, but more like that of the broccoli stem, with a touch of sweetness, and just a hint of spice, like you get in radishes. Kohlrabi leaves can be used just as you would use tough greens like kale. It is available all year round but winter, is apparently, when it is at its best. I get mine from the good folks at Ocado, and it is listed as being in season currently. I have also read, that summer is the season for it, perhaps it rather depends on which part of the world you are in! Always look for the medium sized bulbs with fresh looking green leaves with a deep, green colour. Just peel off the tougher outer layer with a vegetable peeler, then cut, slice or chop and cook any which way you fancy! 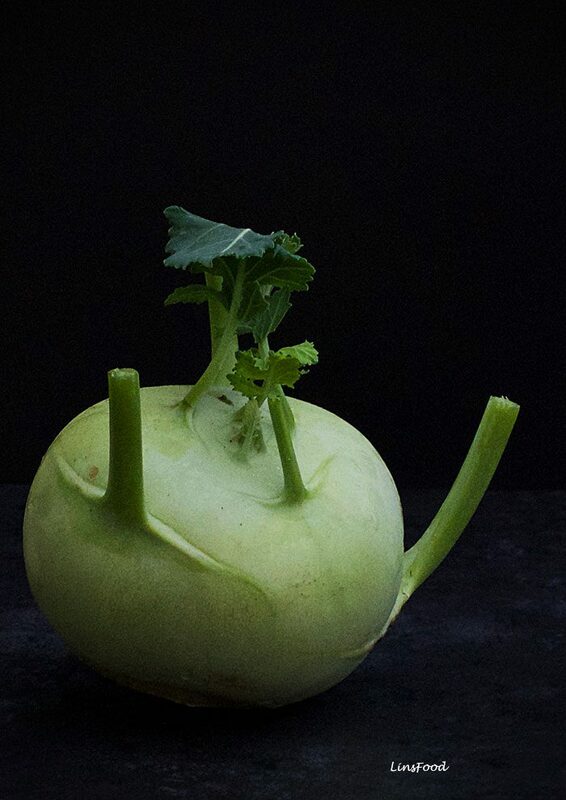 One last thing – kohlrabi is apparently very good for you, it packs more vitamin C than oranges. One of my favourite ways with it is to make a salad with oranges, that’s definitely full of Cs then! Like other brassicas, it also has anti inflammatory properties. So go on, go grab yourself an alien, you’ll be thankful you did!